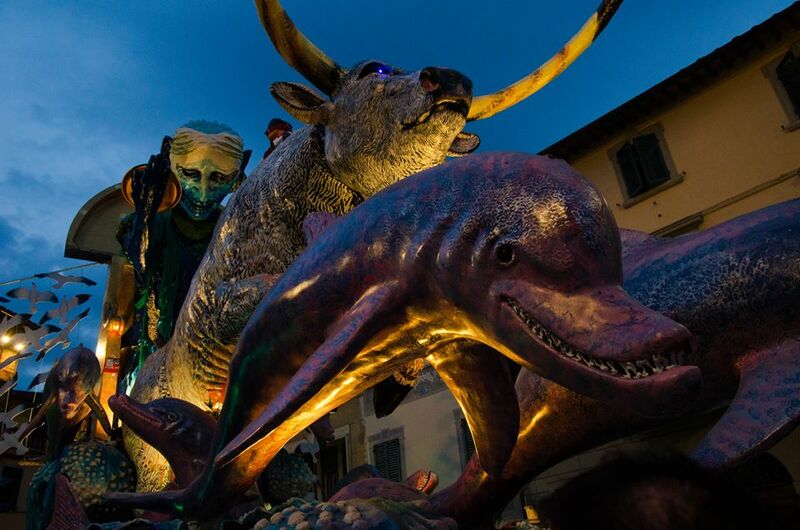 Starting in 1539, the Carnival of Foiana della Chiana, in the province of Arezzo, is considered the oldest carnival event of Italy. 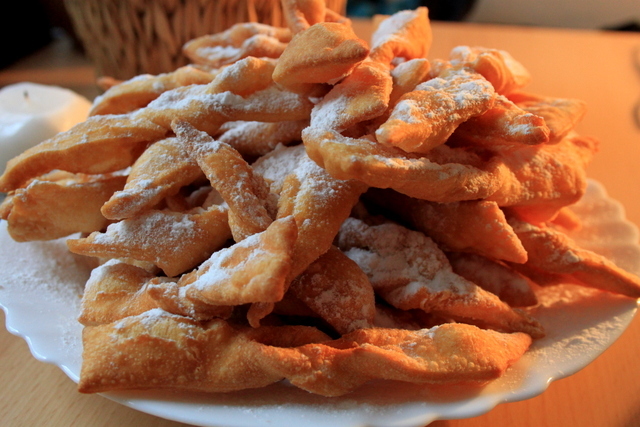 Apparently three days were dedicated to the celebrations, while in the 1800s the festivity was commemorated in the enormous kitchens of the farmhouses with rivers of vinsanto and oceans of ‘cenci’, as they call the deliciously crisp angel wings over here. Later, in 1826, the inhabitants of Foiano della Chiana would meet at the Garibaldi Theatre were they would dance and play lots of music. 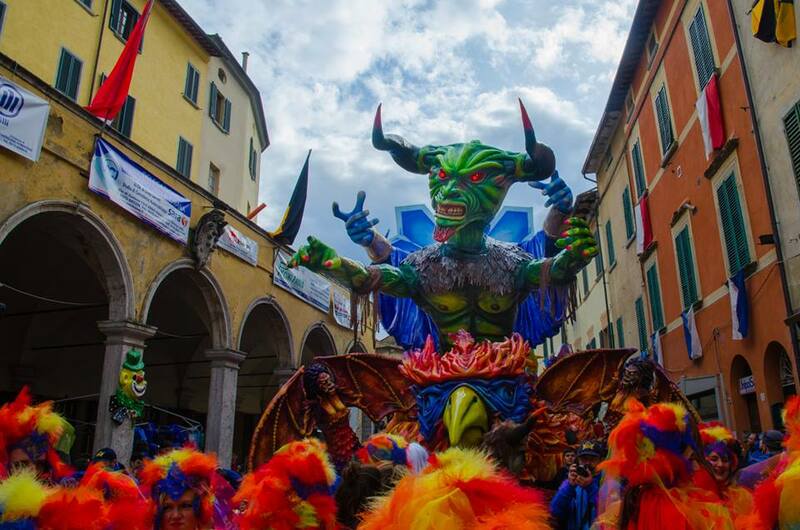 Today the Carnival of Foiano della Chiana is considered among the most important events of its kind in Italy, both for the spectacular choreography and for its historical tradition. Four quarters of town, called ‘cantieri’ (yards), compete with massive, brightly coloured floats. The quarters are Azzurri (Blue), Bombolo (from the name of their first float in 1934), Nottambuli (Night-Owls) and Rustici (Rustics). Their floats parade in front of a jury made up of national art experts. The wagons are enormous, measuring up to a maximum of 17 meters in length, 10 m in width and 13 m in height, and are made by masters of papier-mâché and mechanical technicians. Dominating the scenes is the figure of Re Giocondo, King Merry, who opens the parades every Sunday. He is followed by the bigger floats, by people in carnival masks and by the bands. On the last Sunday of Carnival, Re Giocondo, who is obviously made of rags and straw, is burned during the spectacular ceremony known as the ‘rificolonata’, where the ‘rificolone’ are lanterns. Before the bonfire, a testament of the year’s events is read aloud like an epilogue for the past year and a prologue to the new year. Before being dismantled the floats enjoy one last parade in the month of June during the so-called ‘Carnival Under the Stars’. 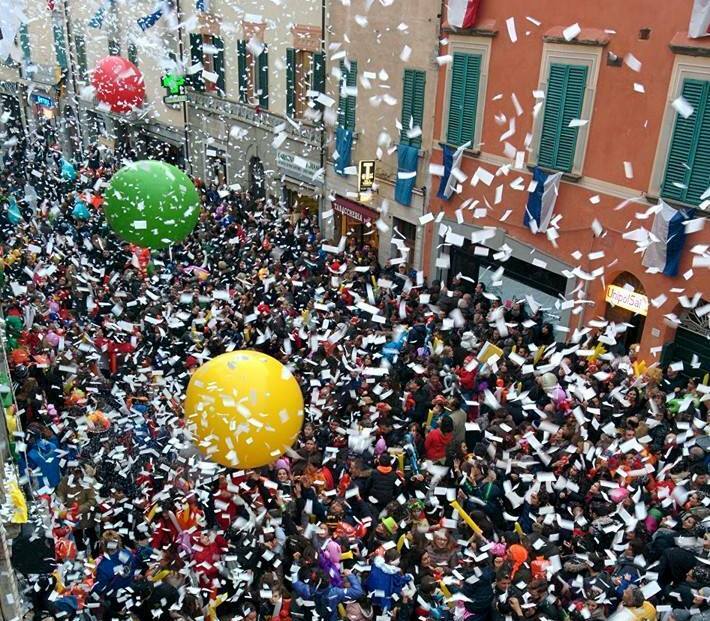 Questa voce è stata pubblicata in Culture in Tuscany, Events in Valdichiana, Tuscan lifestyle, Tuscan traditions, Tuscany, Valdichiana e contrassegnata con Carnevale di Foiano della Chiana, carnival, Foiano della Chiana, rificolonata. Contrassegna il permalink.